1. A bowl of 5-star ramen from Octopus Bar. 2. Gladys Knight’s chicken and waffles. 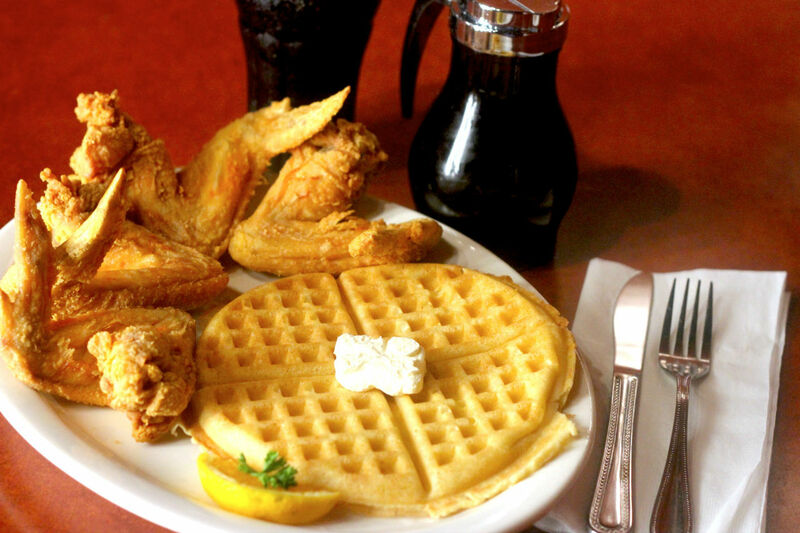 Because those two fried and battered icons of southern serenity just go together like…chicken and waffles. 3. 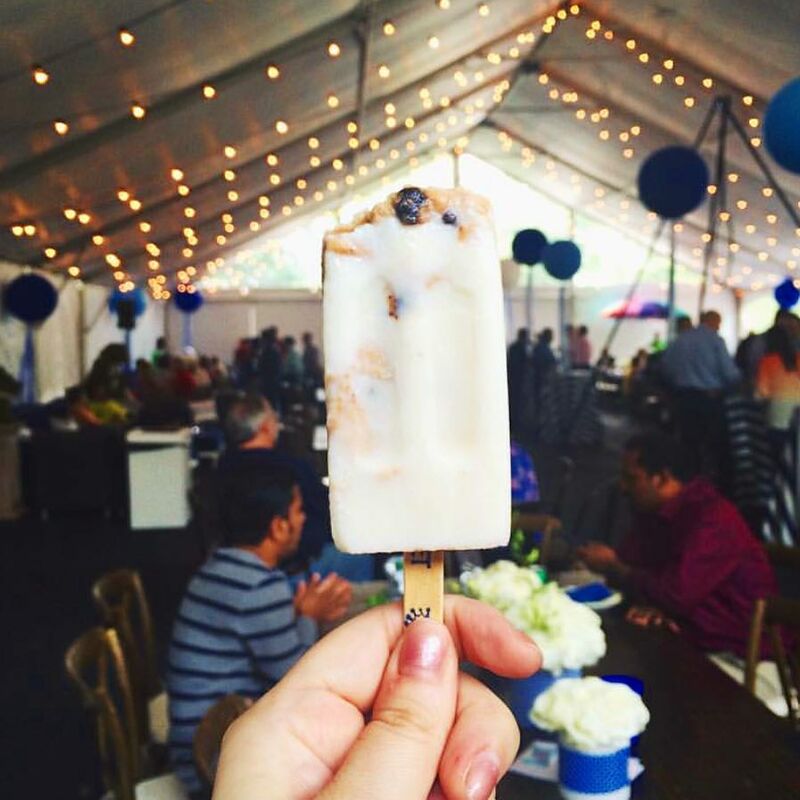 Cereal milk popsicles from King of Pops. Or rather, any kind of popsicle from those little carts of frozen love scattered around festivals and street markets. Key lime pie, apple pie a la mode, honeydew lime zest, chocolate sea salt, peach tea, banana puddin’, and arnold palmer? Seriously? Where the hell were you throughout all my sweaty childhood summers? 4. Jerked spiced collards with coconut lemongrass ribs from Sweet Auburn BBQ food truck. Trust me, nothing this good has ever come out of a truck. Except maybe lobster mac and cheese from Ibiza Bites, but that’s a whole ‘nother story. 5. Onion rings from The Varsity. What’ll ya have? Some goddamn buttermilk, greasy onion rings and a frosted orange shake, that’s what. 6. A sloppy cheesesteak from Woody’s. 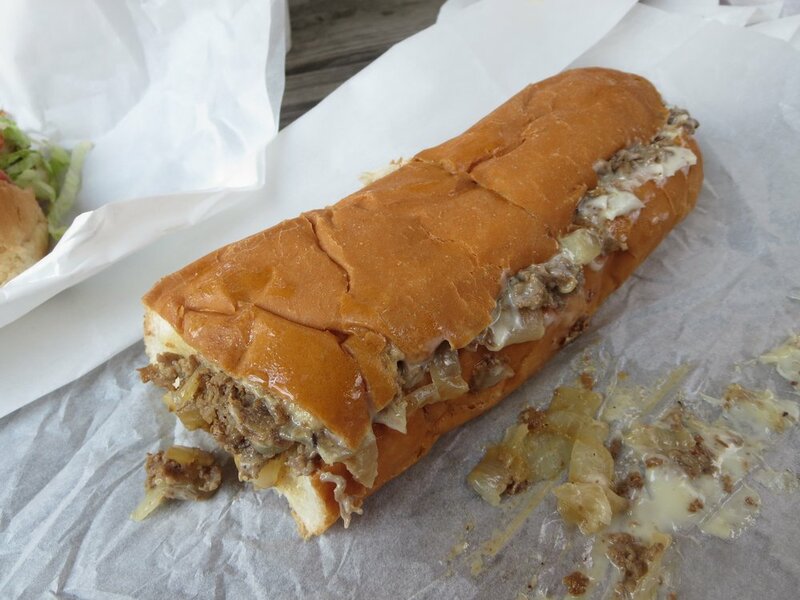 We’ll keep letting you believe Cheez Whiz is the secret to the perfect cheesesteak, Philadelphia. But if you really want to please the Cheesesteak Gods by crafting a messy slop of deliciousness stuffed between two slices of soft bread, the actual secret is a blend of hot peppers, juicy ribeye, and queso cheese – all washed down with a nutella milkshake. 7. The cheapest thing on the lunch menu at the Sun Dial. Given, cheap in this context still translates to dropping $18 on a bowl of she crab soup. But the rotating floor and panoramic views 723 feet in the air is enough to make anything deliciously worth it — even if that means just grabbing a Sweetwater 420 and going out for a banana split at Zesto afterwards. 8. A hot brown from Chic-fil-A Dwarf House. Not only is this the original site of the famous pickle soaked chicken sandwich, it’s also where you can get a gravy boat of cream sauce and chicken nuggets topped with melted cheddar cheese, bacon, paprika, and toast. And with it being open 24 hours, you can get one of these at any hour of the day and night. Of course, except Sunday because you know how it is in the Bible Belt. 9. A salmon BLT from Radial. For the sake of your hangover and the environment, get some fresh, organic mimosas accompanied by a parmesan crusted cut of tender salmon, thick and local bacon, spinach, tomato, and herbed mayo on a toasted ciabatta bread. Don’t believe the restaurant’s hype on leaving a small carbon footprint? Go on and chew on one of their straws. It’s like freakin’ bamboo. 10. Soul food pizza from Jack’s with a baggie of candied sriracha bacon. Picture a slice of pizza the size of a small child. Now picture that slice smothered in gravy instead of marinara and topped with crispy fried chicken and ol’ fashioned collard greens. Next, picture yourself drowning that slice of comfort with a $4 pitcher of Miller High Life while you slur sexual answers for adult trivia. And for dessert? A plastic baggie of candied sriracha bacon — because nothing has to make sense when you just ate pizza covered in gravy. 11. A carpetbagger from Corner Tavern. Ever had the sweats from eating a deep-fried patty stuffed with blue cheese and smothered in buffalo sauce? Boom. Considered yourself carpetbagged. 12. Biscuit ice cream from Jeni’s. Want to really get in touch with your Georgia roots? Grab a scoop of buttermilk ice cream loaded with crumbly biscuits and sweet peach jam. Just remember to keep your diphthongs hidden afterwards. 13. Fax-a-roni from Fox Brothers. Say what you will Virginia, but we all know the real birthplace of the warm tomato stew is Brunswick, Georgia. How else could we get away with blasphemous experimentations such as throwing a dollop of mac and cheese into the mix?